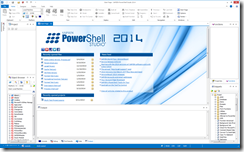 PowerShell Studio 2014: What’s New? 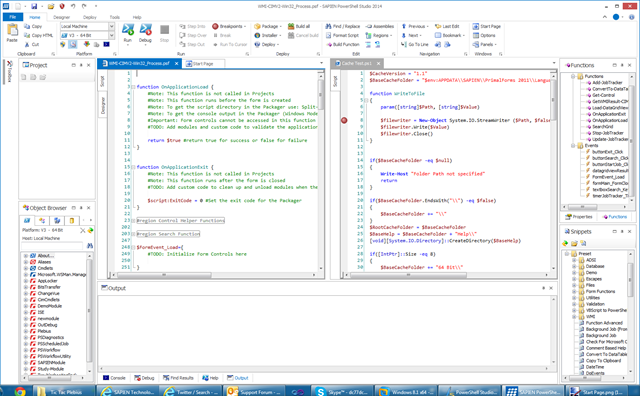 PowerShell Studio 2014 has been released and there are a lot of new features and changes packed into this version. 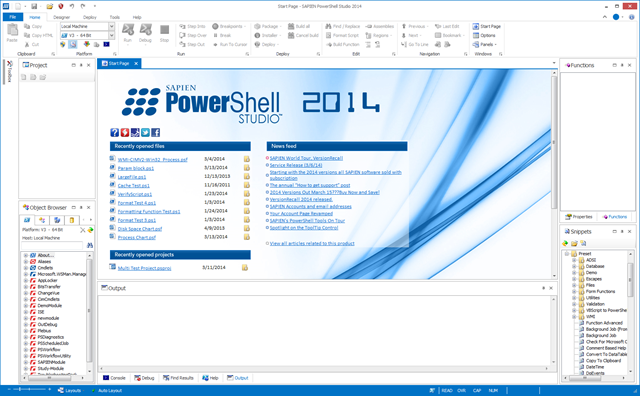 In this series, we will cover what’s new in the new version PowerShell Studio 2014. 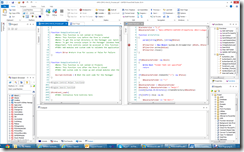 PowerShell Studio 2014 now comes in a 64 bit flavor! Does this mean the 64 bit version costs twice as much? No! We are giving you double the bits for the same cost as the 32 bit version! In fact, you get both versions! So those with a 32 bit OS, still have the option to download the the 32 bit version of the application. Note: Both versions will run 32 bit and 64 bit scripts. Can I install 32 bit version and the 64 bit version side by side? No, you may only install one platform at a time. If you are using source control, be sure that the platform you choose matches your source control provider. Can I install PowerShell Studio 2014 alongside 2012? Yes you can! They both work independently of each other. Will others point and laugh at me if I’m still using 2012? Well maybe, but we don’t judge! You can use the current version as long as you like, but we can’t do anything about the envious feeling you may have when all your friends are sporting their shiny new 2014 version. You can always take the 2014 version on a test drive to see if it is the right fit for you. You may also notice the change in the ribbon buttons as well. We will cover this below. Just use the file tab’s context menu to create a new tab group and you are ready to work on scripts side by side! The new Designer tab makes GUI editing easier and more discoverable than before. We will cover this in more detail in a later article. We did away with the old Export tab and replaced it with the, dare I say, cooler Deploy tab! We will discuss all these cool new features in a later article. This tab contains the tools you may need while writing your scripts. Tools such as script signing, file comparison, source control and external tools like the SAPIEN Software Suite applications. You can also launch the PowerShell Console and ISE from the Tools tab, as well as update the PowerShell Help. We will discuss other new features appearing in this tab in later articles. The home tab has the most common functions as well as the editing function. You may have noticed we streamlined a few buttons and options. 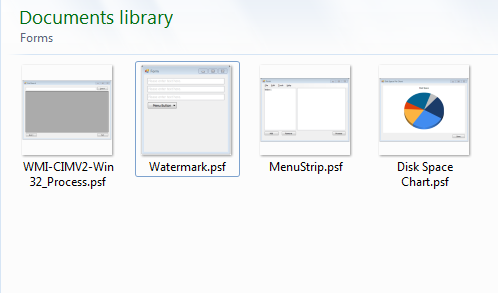 In 2014, we no longer have separate buttons for Project and Files. We noticed that it caused confusion as to what was running at times, so we consolidated these buttons into one. The Run and Debug buttons will trigger depending the on the active document. If a project is open and the active document is part of the project, then it will run the project instead of a file otherwise it will run the individual file. This tab contain links to helpful documents, such as the manual, and links to the support forums. 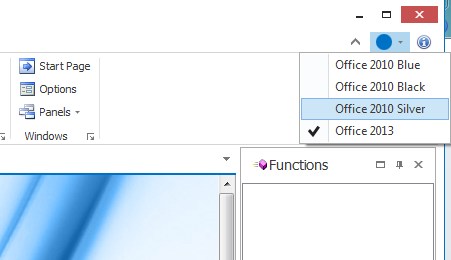 You can reset the Quick Access Toolbar by using the “Reset Quick Access Toolbar” button in Options->Panels->Ribbon. Like before, 2014 has customizable layouts. I know this is not new, but it is important to note that the 2012 layouts are not compatible with 2014 versions. Note: PowerShell Studio 2014 will backup old version of the file before converting them. 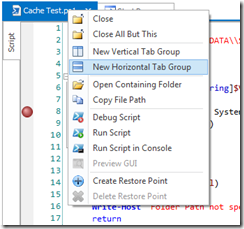 The new file extensions are not backward compatible with PowerShell Studio 2012. We hope this will make it a little easier to find the form you are looking for. Stay tuned for the next installment of What’s New. DMCA Force liked this on Facebook.